As one might expect, the more far-out the conspiracy theory, the fewer people endorse it. Dean Debnam, president of Public Policy Polling, which conducted the research, noted, "Most Americans reject the wackier ideas out there about fake moon landings and shape-shifting lizards." 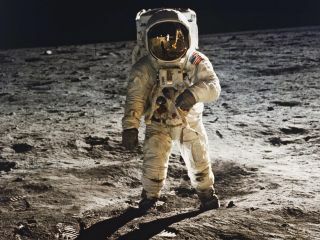 Still, about 7 percent of Americans polled in the study think NASA did indeed fake the Apollo moon landings, the study found. Seriously...7 percent. Don't tell Buzz Aldrin.